Some ancient words of wisdom say that a good neighbor is closer to you than a distant brother and three people from Port Talbot could serve as the ideal example. The three of them share more than a neighborhood, as they are all enthusiastic about the prospect of playing the lottery. It comes as no surprise that they chose to set up a tiny lottery syndicate and pool money together for purchasing tickets. What is both surprising and inspiring is that they finally won the jackpot in a very different manner. Among all lotteries with interesting and somehow strange names, the People’s Postcode Lottery stands out from the crowd. 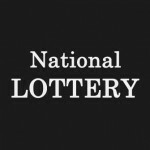 It took the game organizers many years to establish trust in communities throughout the UK, but the lottery is finally regarded as one of the most trustworthy nationwide. 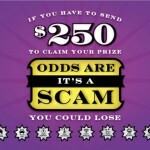 Over the Internet, scam artists are launching a relentless campaign of tricking naive lottery players by inviting them to play bogus lotteries that have strangely similar names. 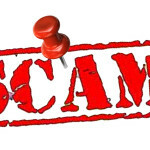 Others go a step further and use deceit to lure potential victims into traps and the People’s Postcode Lottery is the collateral victim as its reputation is hurt. In this particular case, the winners are real people who signed up for the lottery games and paid the monthly fee, which proved to be an inspired decision. 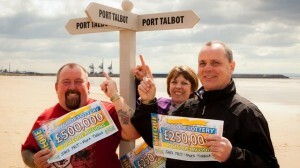 The three neighbors will split a prize of £1million with Peter “Brummie” Summers aged 53 winning half of the amount. Two of his neighbors who go by the name of Jeff Davies and Sarah Edwards will equally divide the remaining prize, an amount that is generous enough to turn this summer holiday into the best of their life. A Birmingham native, Mr. Summers told the media that the recently won jackpot won’t change his life but will make things much easier. There are so many things that money can improve and one of the dream vacations to India that the family planned for years is now within their grasp. Add to this the fact that they have an upcoming birthday to celebrate, and it becomes obvious that with half of 1,000,000 pounds in their pocket this would be one to remember. Sarah Edwards is equally thrilled to have won the lottery, especially after playing for many years without scooping any important prize. Pam’s 50th birthday will be properly celebrated and given the fact that so many people in the same neighborhood want a prize, everyone will be glad to join them. The subscription lottery made the three neighbors slightly richer and definitely more relaxed about the foreseeable future. The prize is large enough to help them completely ignore all petty financial concerns that kept them awake at night. In addition to the three major winners, more than 300 other people from the same town won amounts ranging from slightly above £700 to over £8000. Check out the Double the excitement for UK lottery players as well.